The Blame Game - Live Life Revolution | Stop Existing. Start Living. 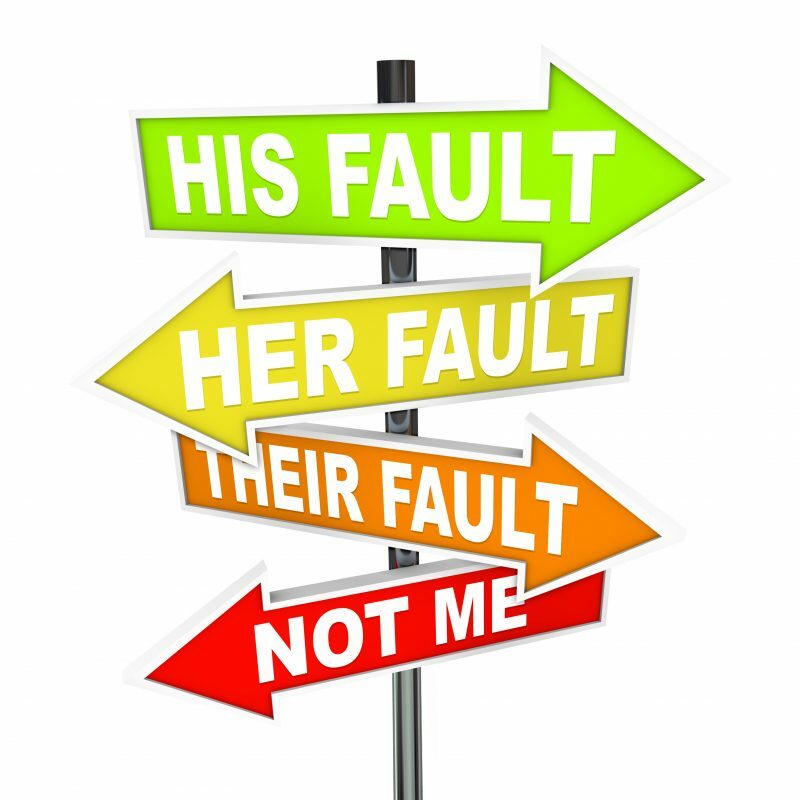 It’s so easy to play The Blame Game…. One day last week, my daughter, Lauren, had to be at school early so I was looking forward to getting back home and start my workday early — I had my day planned out to a T. I got her dropped off at school and started thinking through everything that would happen at each hour of the day. Then it happened —my cell phone started ringing half way home. It was Lauren calling from school. In her rush to get ready early, she had forgotten something vital to her day. Oh, and she absolutely had to have it as quickly as possible. UGH! I walked in our front door and decided if I didn’t do this for her now, there was no way I would remember it. So I went into her (not so clean room) and located what she needed. I got back in my car and was now going to hit morning commute traffic – yay! How do I get mad at that?! After all, being my kid’s mom is one of the most important jobs in world, and I have been honored and blessed with an amazing daughter. And I know that MY attitude and how I behave directly affects those around me. As I was leaving the school parking lot, I pulled out into a school zone – I was now behind an hour in my perfect workday, and I really wanted to step on the gas, but didn’t. Lo and behold, not ¼ mile up was a police officer doing radar. I was so thankful I had not gone with my gut instinct and hurried, or I could have ended up with a $250 ticket. I started thinking about it. If I had left the parking lot too fast and gotten a ticket, would it have been my fault or Laurens? After all, she’s the one who put me in the position of being so far behind this morning. How easy would it have been to play the blame game? a situation in which one party blames others for something bad or unfortunate rather than attempting to seek a solution. It’s interesting how effortlessly we give all the reasons why something didn’t get done whether in business or at home and blame everything and everyone [besides ourselves] for things not coming to fruition or getting completed. But the truth is, we all have the same amount of time every day. It’s the same for each and every person and yet some people get more done than others get done in a week, a month or EVEN longer! This is a daily battle, especially for entrepreneurs who usually work from home and have all of life’s distractions. So what did I do when I got home? I stopped, regrouped and made a new attempt at getting stuff done and guess what, I got almost everything completed on my list. No one to blame for it but myself! It’s about claiming personal responsibility. Yes, we all have crap that occurs, but start thinking about the importance of NOT playing the blame game. If you want to stay on top of your life and business, only YOU can make that happen. There will always be something that comes up — mental clutter, issues with family, problem with a client, etc. In order to really move forward, you have stop playing the victim in these situations. Get rid of the blinders and take time to focus and lay the responsibility of your life and business where it belongs – on YOU! You Can’t Play The Victim And Have Victory. It’ time to look in the mirror, take personal responsibility, get focused, make a plan and LIVE LIFE!